It's all about the games, is Nintendo's message here at Electronic Entertainment Expo. During its E3 press conference Tuesday the game maker stressed new games for its next-generation touchpad-powered Wii U console. In total Nintendo unleashed 23 games during its presentation and highlighted game play over the unique gamming system. During the hour-long press conference Nintendo showed how Wii U blends game play between the Wii U GamePad controller and the TV screen. Loveable Nintendo characters such as Mario and Zelda were seen jumping between the TV game play and the handheld Wii U console. This isn't the first time we've seen the Wii U console (a prototype was previewed at E3 2011), but it was the most complete reveal yet of the device that included titles and Nintendo's launch strategy. Nintendo says the Wii U will ship in time for the holidays. For those unfamiliar with the Wii U, the console features a DS-like touchscreen controller combined with the motion-sensitive game play - which made the Wii famous with the Wii Remote - plus streaming media support from partners Netflix, Hulu, YouTube, and Amazon Video. And if that were not enough, the Wii U will also has social features for a more connected gaming experience between players. Clearly Nintendo is feeling the heat to compete with Microsoft Xbox media hub strategy and Apple and its iPad app-based game play. Nintendo has lost nearly 50 percent of its market value over the past year as gamers have shifted interest to online games and iOS and Android platform based games. Unique, Yes! Game Changer for Nintendo? Maybe! Fils-Aime says gamers will have a completely different gaming experience with the Will U: for example, players with the Wii U’s gamepad versus the older Wii remotes (which also work with Wii U). This allows player(s) with the gamepad to take on a different role in the game itself. Wii U keeps the immersive game play that made the Wii so popular, though. 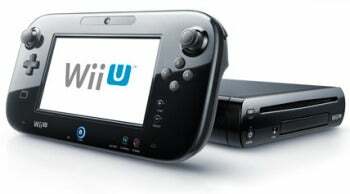 Movements control the activity on the screen, and an integrated camera and microphone coupled with the Wii U remote's accelerometer are meant to be extensions of the game play. The Wii U gamepad changes the way the console works. For example, In Pikmin 3 the touchscreen is used to control the movements of the pikmin themselves, but in New Super Mario Bros. U, the entire game can be played from the gamepad itself. The Wii U and its unique gaming experience will be foreign to some gamers, so like the original Wii, Nintendo is shipping an amusement park-themed mini-game collection title called NintendoLand along with the console. The only mention of a release date was at the end after the debut of NintendoLand, which he said “will launch the same time as the console this holiday,” something it had already announced in January.